Working with Craig D. Paxton, Peter J. Gryn, Erisa K Hines, and Ulises Perez, Dr. Ge-Cheng Zha of the University of Miami Department of Aeronautics and a NASA Innovative Advanced Concepts (NIAC) Fellow, has worked on a method to improve propeller efficiency and reduce blade stall using a forward tangential swept configuration. Dr. Zha wowed EAS VII attendees last year with his astonishing high-lift, high-speed wing design. This year, he gave hope for advanced propeller design. The professor and his team are trying to increase general aviation fuel efficiency and reduce pollution. 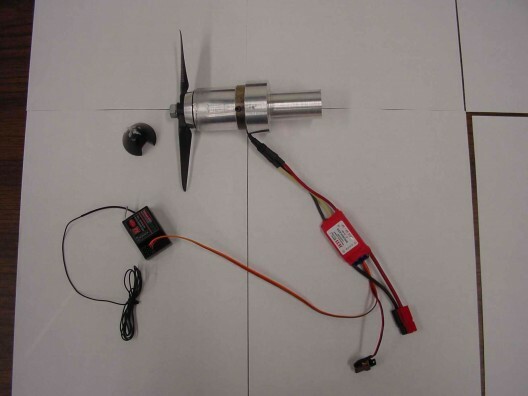 Propellers, imparting the energy from the engine or motor to the air, are a good place to start. 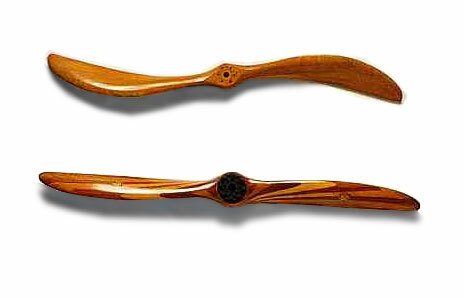 Most current propellers are axial and are straight bladed or have blades with a backward sweep, the well-known scimitar blade shape. This approach mimics the advantages gained from swept wings. Zha’s team borrowed from turbofan technology to develop forward tangential swept propellers. They might have looked at sailplanes like the Czech Blanik, which has its wings swept forward. Your editor can testify that this approach produces gentle stalls. Propeller research is complicated by the fact that propellers have different speeds and therefore different Reynolds numbers at each station along their span, with inner parts of the blades spinning at different forward speeds than those at the tip, even though each station is rotating at the same rpm. The tip’s forward speed is often crucial because at high rpms that speed can approach a critical mach speed and create extreme noise – part of the thrill of high-performance airshow routines. Early wind tunnel tests “show that the swept blades have higher efficiencies and larger stall margins than those of the straight blades,” something verified by computer flow dynamics (CFD) simulations. So far the blades swept 20 degrees forward have the highest efficiencies and stall margin of the swept configurations studied. At the same velocities for both straight blades and forward-swept blades at the same freestream velocities, the swept blade has a higher angle of attack and a yields higher thrust and efficiency. Part of the results comes from the slightly narrower chord and therefore higher aspect ratio of the swept blade, which contributes to lower drag for the swept propeller. Researchers speculate that a “3D effect” created by the forward sweep pulls more mass flow in the tip region, producing more kinetic energy and suppressing tip vortex. Propellers were made by fused deposition modeling by Stratasys and by investment casting. They were tested in a 12-inch by 12-inch wind tunnel, making for a low Reynolds number experiment. Future tests will scale sizes up, probably include effects of nacelle drag neglected in early tests, optimize sweep angles and configuration and investigate more 3D effects. These tests may show whether the forward swept configuration will give the high thrust and low noise that will make Dr. Seeley and Mark Moore’s neighborhood airparks a reality, with commuter airplanes hopping from the short fields and passing quietly overhead. The blades will need to be very stiff, to prevent aeroelastic problems due to the forward sweep. I would imagine that anything causing the blade to experience varying AOA as it goes around, could be amplified by aeroelastic effects, causing vibration and possibly fatigue. That said, it may not be a practical problem – I have no feel for that. Foward swept propellers are common in China, they are used for the sake of efficiency in fans, reducing the energy need for a given airflow. The sweep is straightfoward, not fancy like the picture in this article.